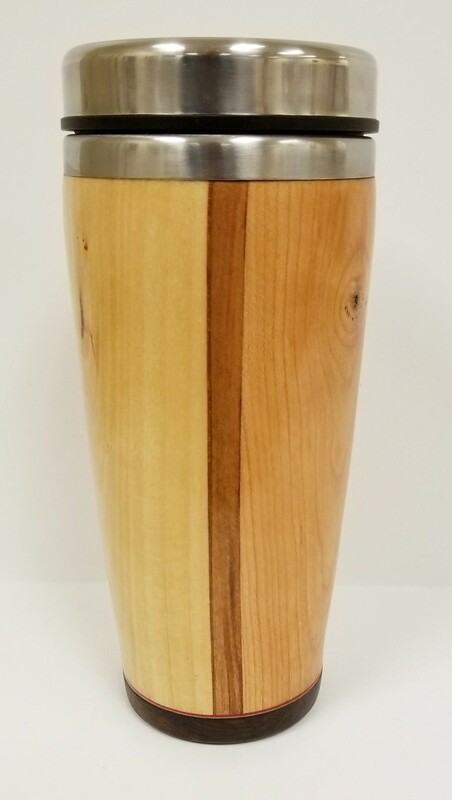 This stainless steel travel mug is enclosed in a shell handcrafted from pieces of Michigan cherry and maple wood. The shell is embellished with cherry and mahogany vertical wood insert strips. Each original piece has a grain that may contain knots or other features that reflect the wood species, climate and growth conditions.